Tennis has always been quoted as one of the most loved sports around the world and same can be witnessed by looking at huge number of fans turning up for every tennis mega event round the year. Moreover, there are a number of Tennis championships which gets held across the globe all along the year amongst which there are four major events namely Australian Open, U.S open, Wimbledon and French open which are most popular amongst the Tennis fans. These Events are widely known as Grand slams and amongst the same it’s the Wimbledon championship which is the oldest and most sought after events in the Tennis world. 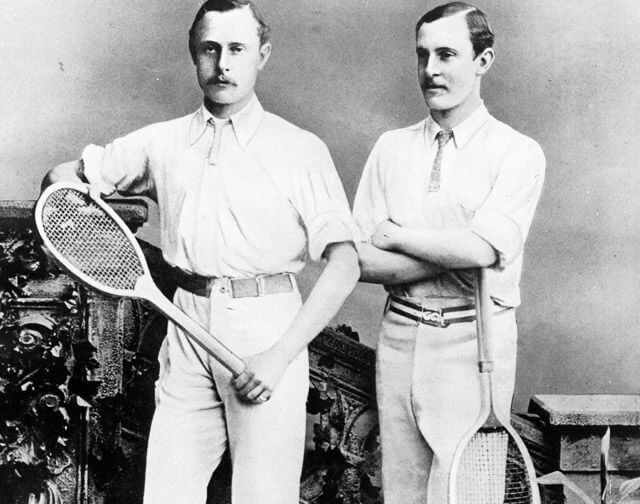 The First Wimbledon championship came into play on 9 July 1877 and initially, it was only played as a “Gentlemen’s Singles event”. It was only in 1884, when Ladies singles and Gentlemen’s doubles events were also included in the Mega tennis championship event. Moreover, until 1922, the Defending champion was given straight entry to the Finals and all the remaining players have to compete to challenge the champion in the grand finale only. Also, only Top ranked amateur players were allowed to participate in the championship and no professional players were given the permission to registers their p[presence in the championship until that time. 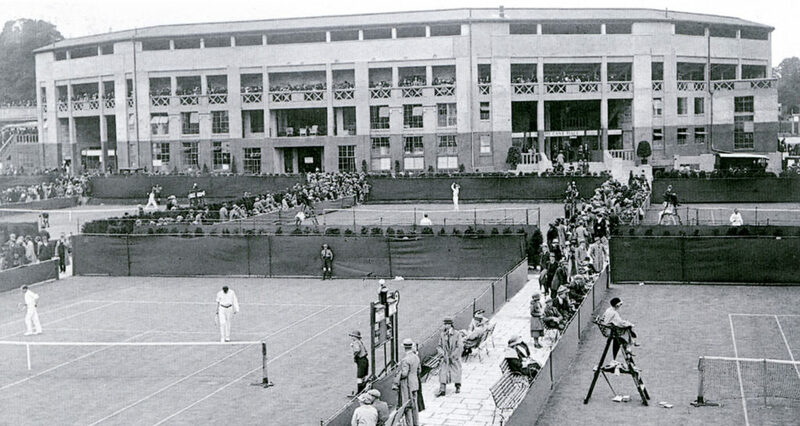 Since the start, the championship is getting played on the Outdoor grass courts and therefore was also been recognized in between 1912-1924 as the ‘World grass court championship” by the International Lawn Tennis Federation. 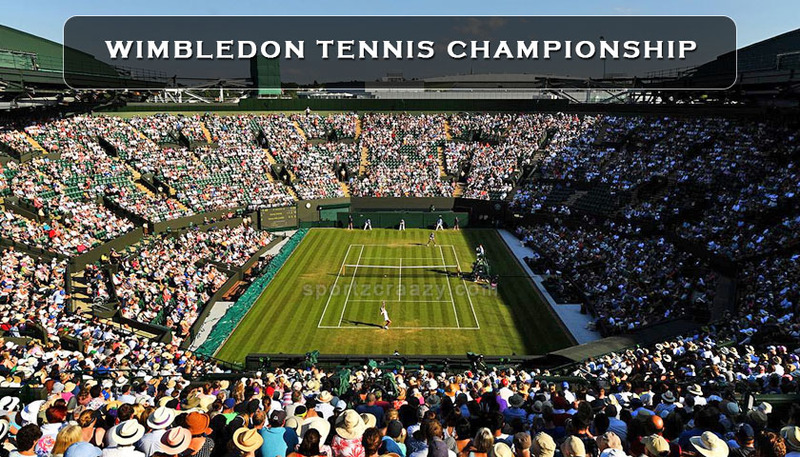 Being famous as the most Prestigious tennis tournament in the world, The Wimbledon is also the Oldest Tennis tournament across all tennis championships around the world. 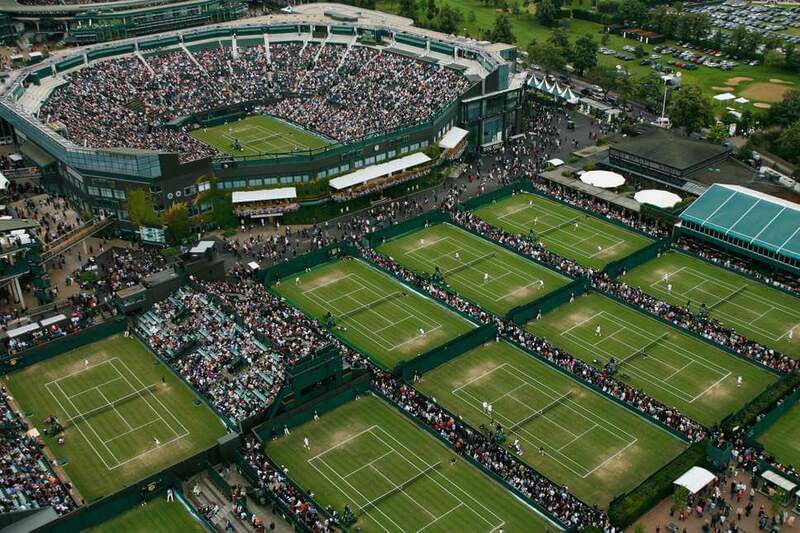 it was established in 1877 at the All England Lawn Tennis Club and since 1922, its been played at the same ground only. Though we understand the fact that Tournament is being contested along some of the greatest tennis players around the world, the Grass courts adds some more flair to the whole competition. Moreover, the same courts has witnessed the world 125th ranked Goran Ivanisevic hitting in total 212 aces on his way to winning the championship even after suffering from a shoulder injury. 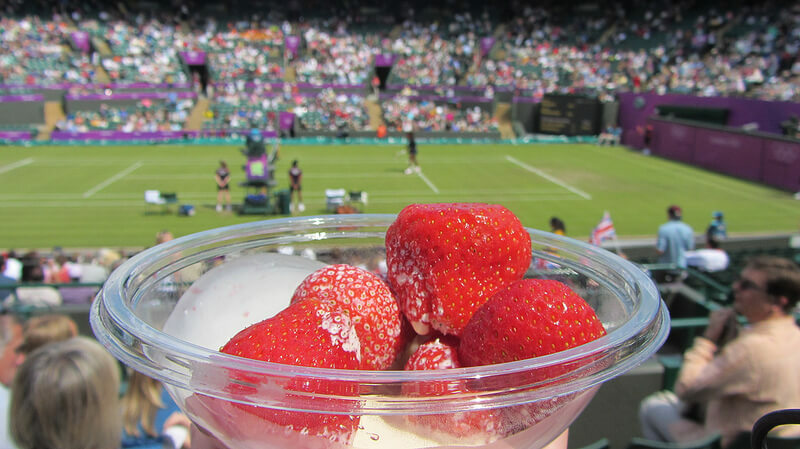 This fact might sound a bit tempting but all the spectators in Wimbledon are served with almost 1, 40000 bowl of Tasty strawberries and cream every year during their visit to the matches in the Wimbledon tournament. More surprisingly, all those strawberries come from a single farm in Kent which serves almost 100000 strawberries on a daily basis to the visitors. 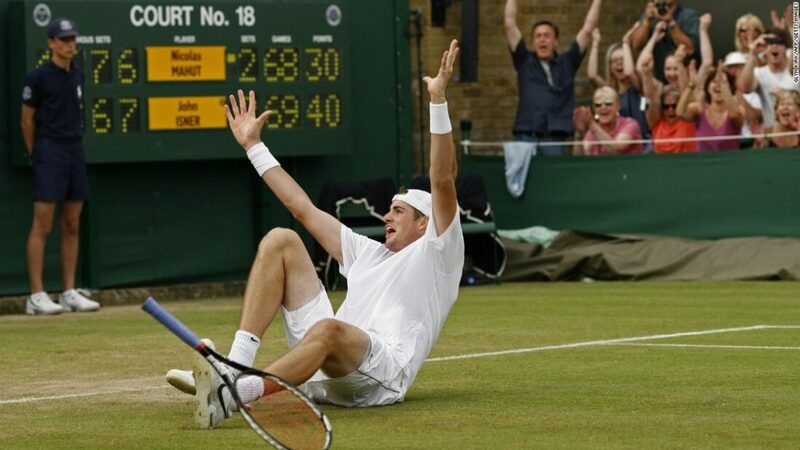 During the 2010 championship, the match between John isner and Nicolas Mahut lasted for around 11 hours and five minutes and played between three different days due to certain interruptions in between all those days. 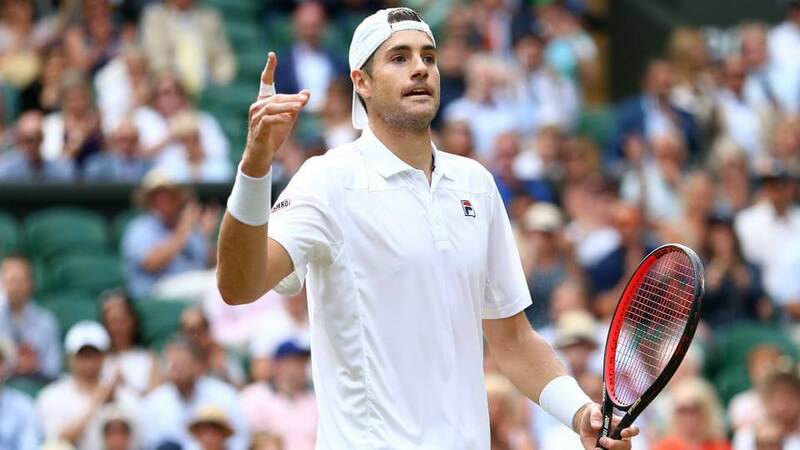 The match accounted for 183 games and John Isner finally on the match with a score of 70-68 . Bjorn borg did become a legend by the time he entered this Wimbledon championship in the 1980. While winning the championship already 6 times , he was on the mission to prove his mettle once again and this time, he was challenged by another champion in making, John McEnroe. 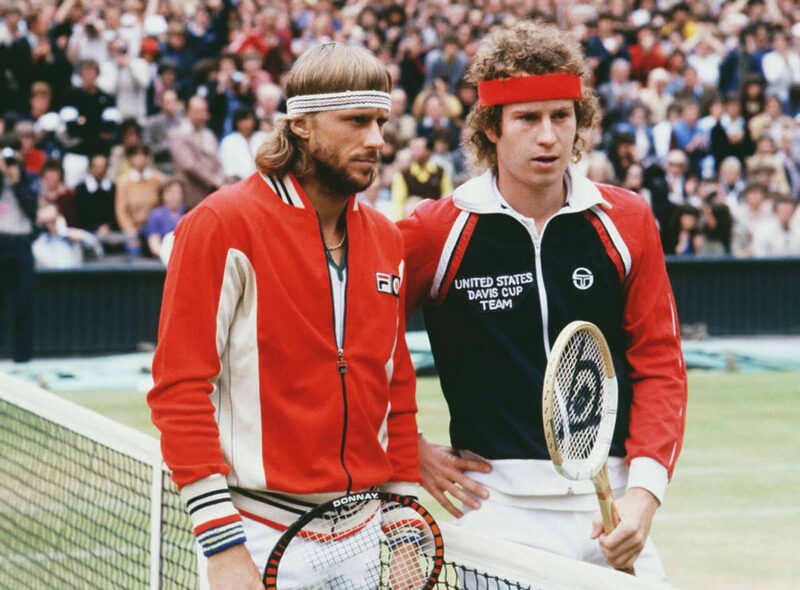 Eventually Bjorn borg won the title 1-6,7-5,6-3,6-7,8-6, but the USP of the match was the fourth set tie break which was the longest at that time in the Wimbledon championship. Wimbledon has always been the tournament where most of the legends played some of the greatest matches of their entire careers. 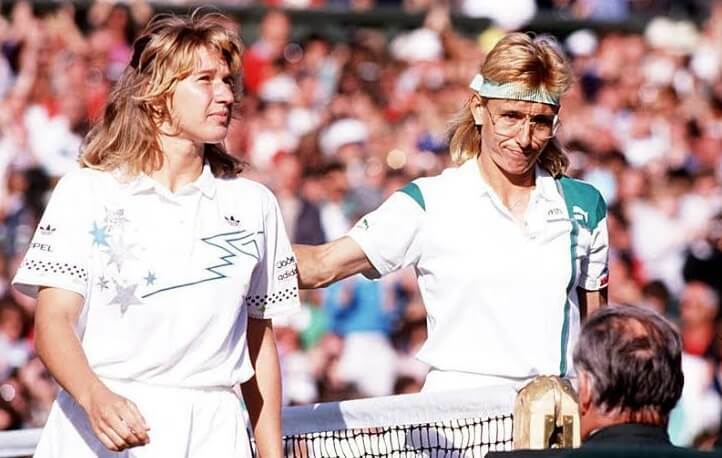 And this match between Women tennis legends Steffi Graff and Martina Navratilova was another one in the list for sure. The match saw both Graff and Navratilova played some of the best tennis of their lives but it was Graff who eventually took the title home 6-2,6-7,6-1. 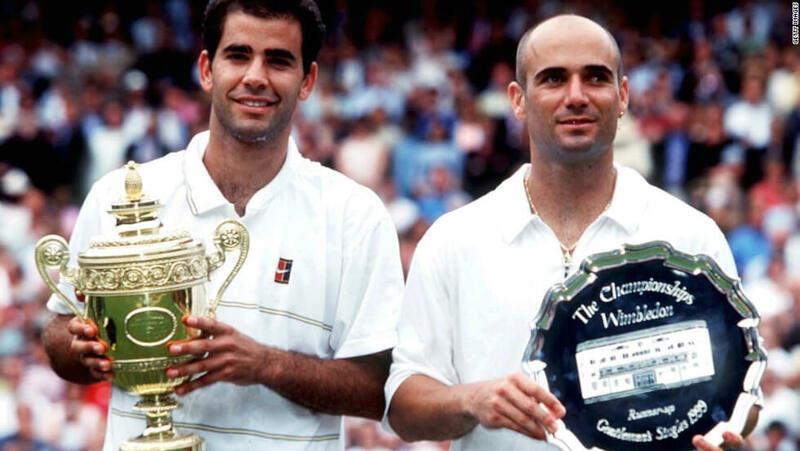 Pete Sampras and Andre Agassi were certainly two of the biggest names in the tennis world in the 90s. It was by that time that the rivalry between both the players has taken some exciting turn and everyone loved to see both of them playing against each other. It was during the 1999 finals when these tow locked horns once again and though Sampras was been able to defeat Agassi 6-4,6-4,7-5, the match became an everlasting memory in the minds of all the tennis lovers. Roger Federer can certainly be quoted as one of the best players this game has ever seen. 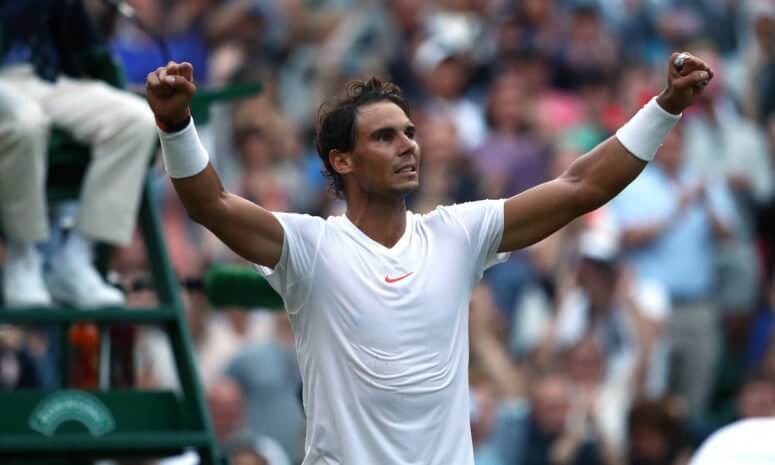 He is the only player in the entire history of the Wimbledon championship toi enter the men’s singles finals 11 times and getting his hands on the title 8 times. It was during the Amateur era, when William Renshaw proved his dominance in the world of tennis by winning six consecutive titles and seven in total. He was one of the most sought after players in the initial days of the Wimbledon tennis championship. 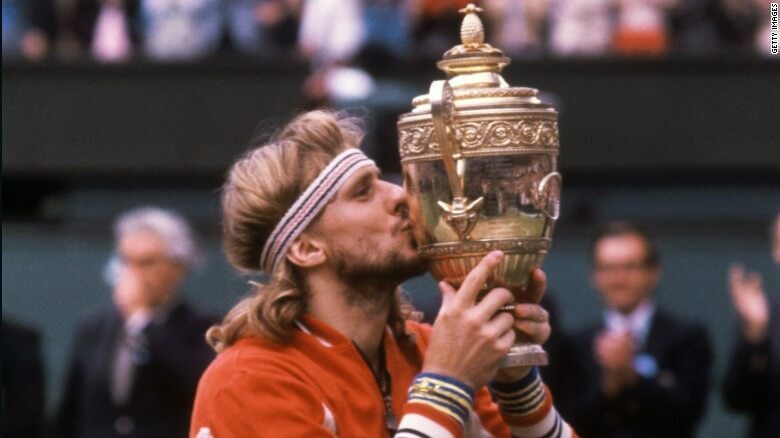 Bjorn borg has also won the Wimbledon title 5 times and he along with federer holds the record for the most consecutive titles wins in the open era till date. 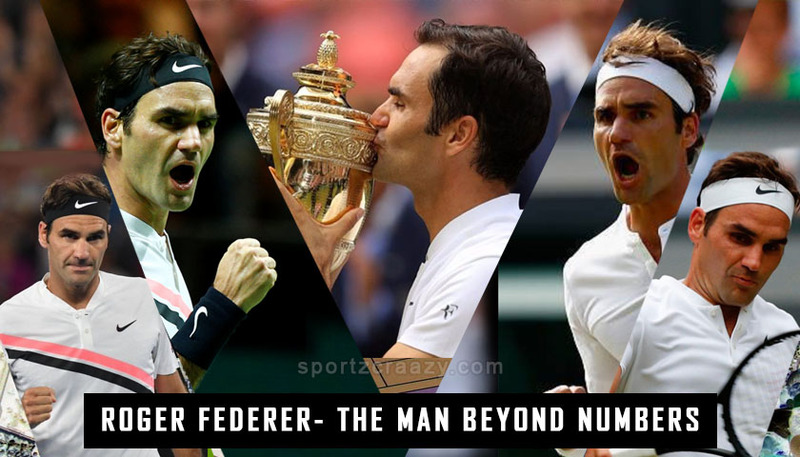 Moreover, he has also been part of some of the greatest matches in the tournament’s history and certainly deserves a place along with all the tennis legends right up there. 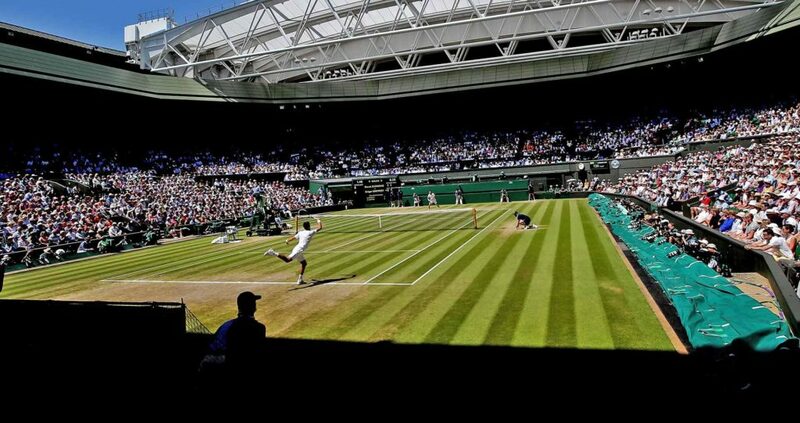 Wimbledon has always been famous for some of the hardest fought matches in the Tennis history and the upcoming edition will surely be witnessing the same levels of competition amongst the Sport’s biggest names. While Novak Djokovic grabbed the Men’s title this year by defeating Kevin Anderson, he will be getting a tough fight from Roger federer and Rafael nadal on his way to his title defense. Other players which can become a challenge to him can be Andy Murray and Juan Del Potro. In the Women’s section, all eyes will be again on the rivalry between Serena Williams and Naomi Osaka after their US open rivalry. There are a number of other players which are making it big in the International Tennis arena like Dominic Thiem, John isner, Alexander Zverev and Denis Shapalov and they can pose a big threat to the top rankers for sure. Coming to the Women’s category, names like Jelena Ostapenko, Daria Kasatkina holds the caliber to make it big in the most Prestigious tournament in the Tennis world.